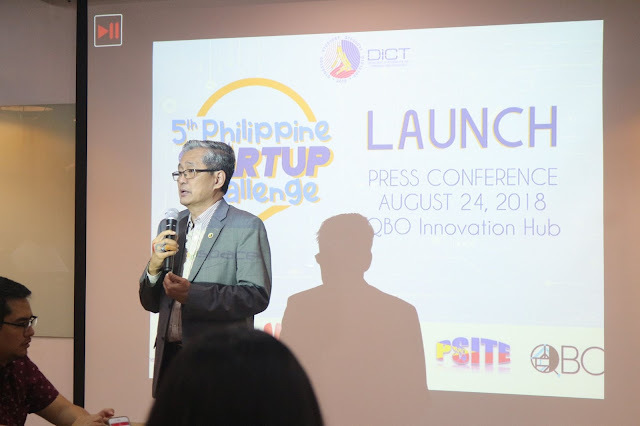 The 5th Edition of the Philippine Startup Challenge (PSC5) has been launched. The Department of Information and Communications Technology (DICT) aims to expand the years’ startup challenge with the participation of more schools across the country. This will further promote technology entrepreneurship among the nation’s youth. With the intention of increasing representation across the regions and provinces of the country, the DICT encourages the participation of more schools which will involve 24 teams in the Semi-Final Round and 10 teams in the Final Round that will come from all over the country. This was launched at the QBO Innovation Hub in Makati City. “We are excited for this new edition of the Philippine Startup Challenge (PSC) because it will be more inclusive by giving each of the DICT’s eight (8) clusters the opportunity to field three teams from colleges and universities in their respective areas to the competition and compete in the Finals,” stated Usec. Monchito B. Ibrahim, who heads the Regional Operations, Countryside and ICT Industry Development of the DICT. A series of Bootcamps will be hosted by the DICT nationwide that will enable college instructors and professors to be the coaches and mentors of their respective teams. The topics in the Bootcamps will include the technical and business aspects of developing and building tech startups. The college instructors and professors that will participate will be required to attend the Mentors’ Bootcamp that will be held in each of the eight DICT clusters that is a requirement for their startup teams to be eligible in participating in the PSC5. The semi-finals will consist of the 24 teams and the top 10 teams will then compete in the Finals in Metro Manila. This year’s PSC5 is supported by the Philippine Software Industry Association (PSIA), Huawei Technologies, Ideaspace Foundation, Philippine Society of IT Educators (PSITE), and QBO, PSC is an initiative under DICT’s SeedPH Digital Startup Development Program which aims to boost the Philippine Startup Ecosystem and spread the economic potentials of digital entrepreneurship. Interested state or private universities and colleges should contact their respective DICT Provincial Offices or visit https://www.facebook.com/DICTdigitalph/ or search Facebook “Philippine Startup Challenge” for the contest mechanics and requirements.